There are teachers and then there are those teachers who go above and beyond what is required of them in their classrooms. I’m so thankful my children have been blessed with those teachers who go that extra mile to pour into their lives. I know gifts can’t recompense what they’re sowing into my children’s lives but little handmade tokens of appreciation will remind them that we’re grateful for what they’re doing. 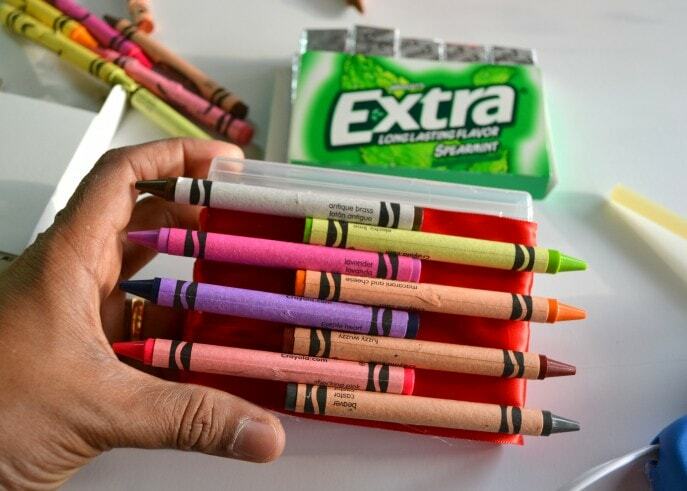 This is incredibly easy to make and can be done in under half an hour, using 5 things only. 1. Hot glue ribbon around the mouth of the jar. 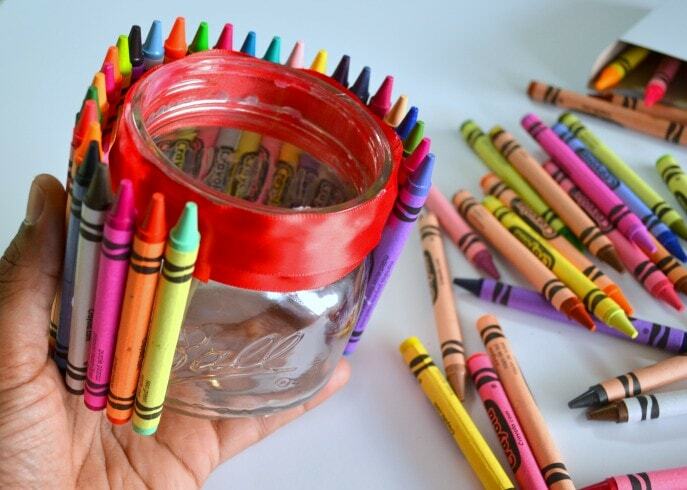 and stick it on the jar, vertically. 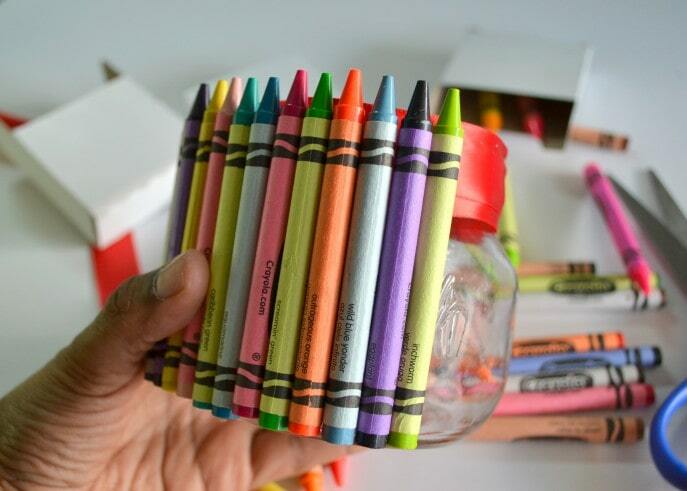 Do this till the jar is covered all the way around with crayons. 3. 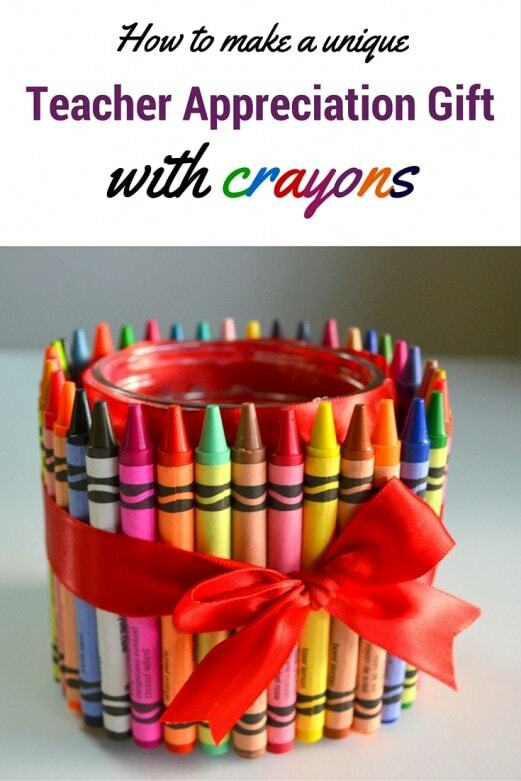 Now measure out enough ribbon to wrap around the jar plus 5 or so extra inches on either side. 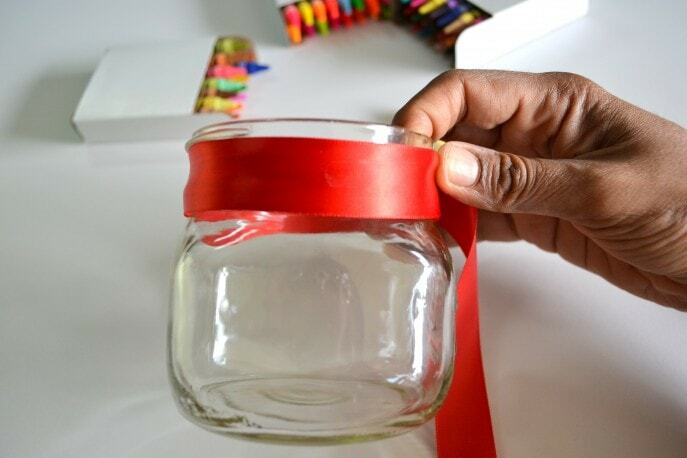 Cut the ribbon, wrap it around the middle of the jar once and tie a bow. 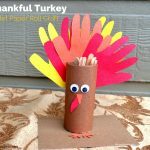 This would make a great pen/pencil holder, a vase for flowers or even a cute container to hold treats for the kids in class. 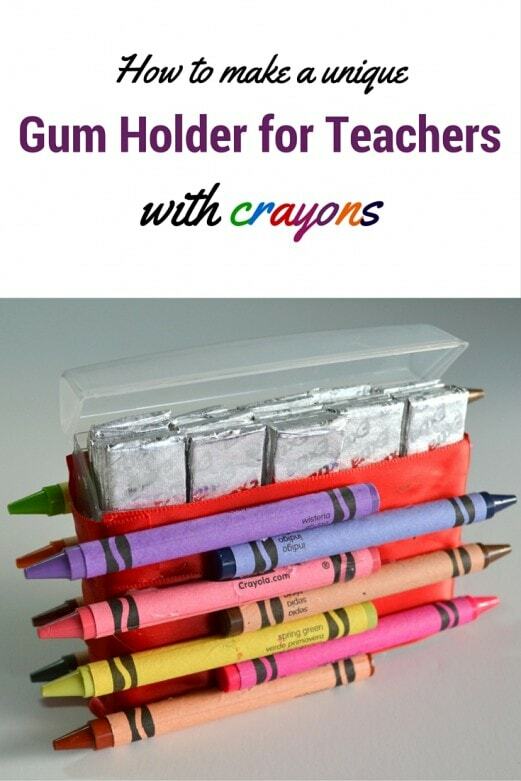 Another super cool idea would be to gift your child’s teacher his/her very own unique gum holder. 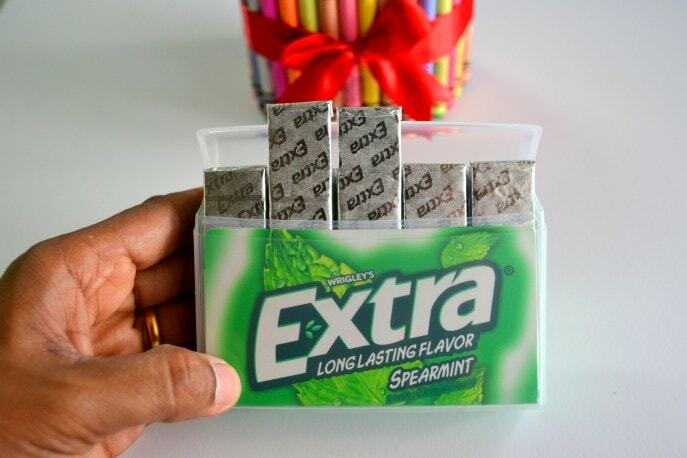 The new Extra® 35-stick packs are not only packed with more gum but sit in a reusable, durable, plastic box that’s perfect to make the gum holder to sit on a teacher’s desk. 1. 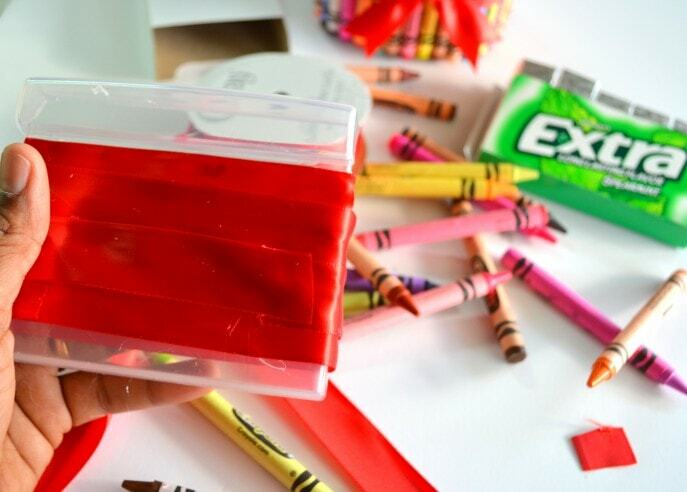 Hot glue the ribbon around the gum pack, all the way around, right below the lid. 2. 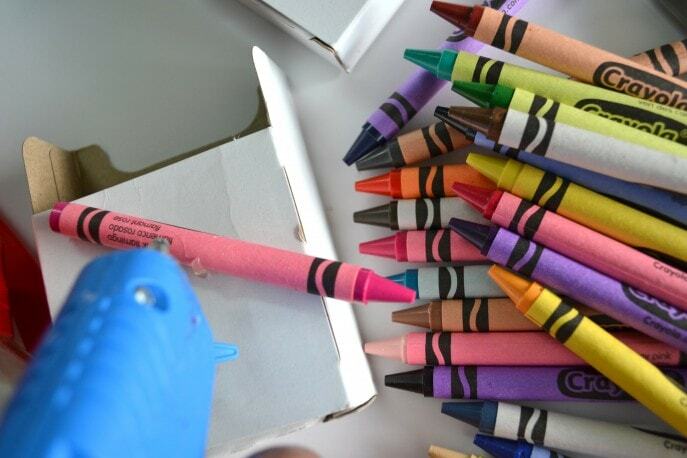 Arrange the crayons horizontally, as done in the photograph below. Do this for both the front face and back. 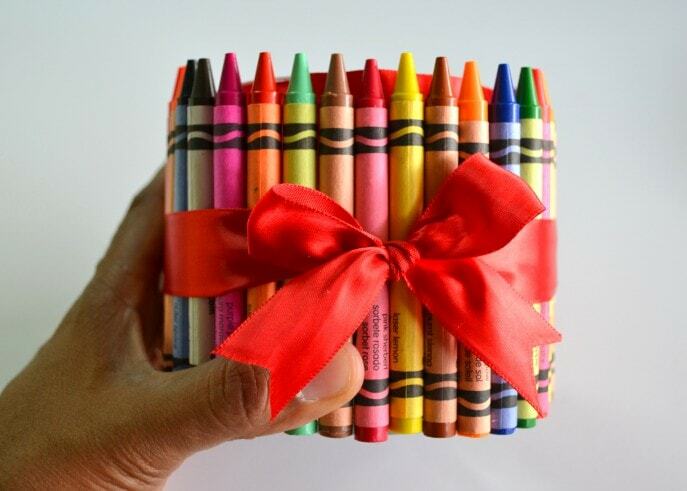 Isn’t this such a great gift idea? 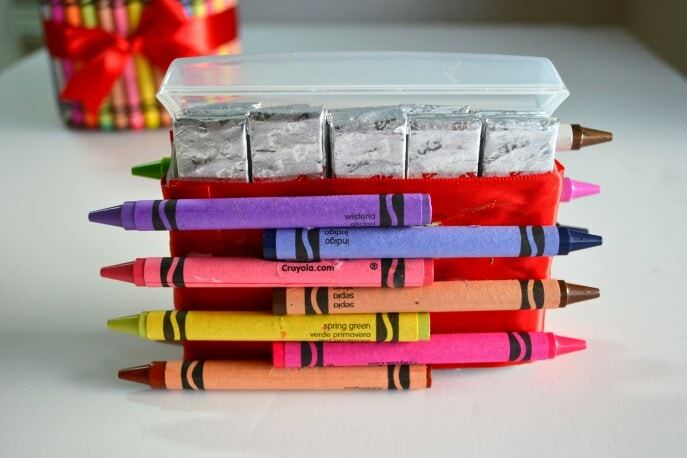 Homemade crayon gifts are always well received and look so pretty. 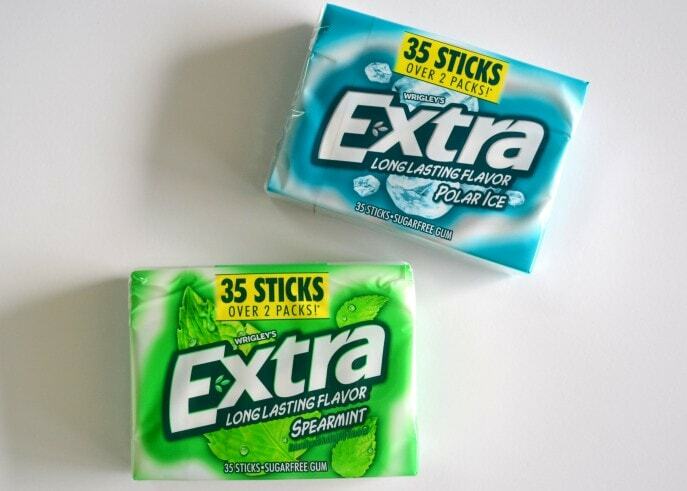 And when a gum holder is involved, then you push unique to a new level! 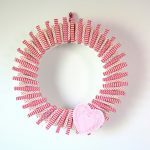 Honestly, with a little creativity and time, I’m sure there are more fun, gum gift ideas we could add to this growing list. 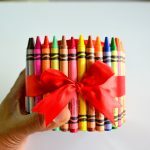 Can you think of any other unique, homemade, Teacher Appreciation gift ideas? 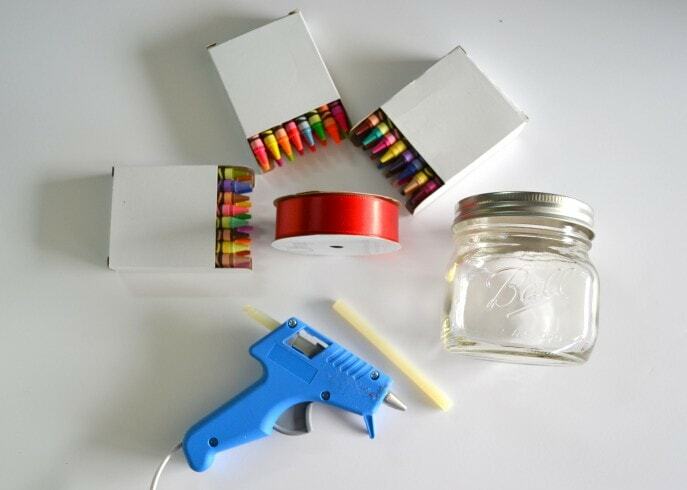 Previous Post: « How to Poison Proof your home.